Hiring the right personal injury lawyer is crucial, and there are many questions that you may have swirling in your head. That's not just from getting knocked down by that bicyclist, either. 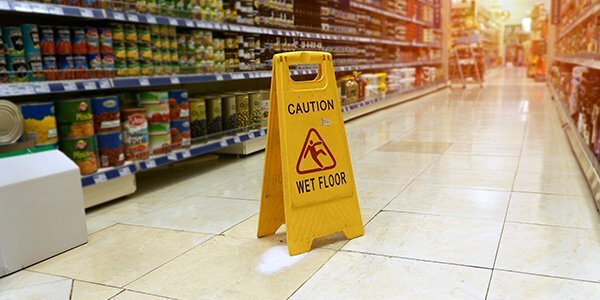 Whether we like it or not, injuries are often unpreventable, as run-of-the-mill accidents happen all the time. But other types of injuries -- including intentional torts and economic injuries -- often are preventable, and may leave you aching for justice. Have you represented clients who have been in similar situations? It's important to know how experienced your attorney is, as personal injury lawyers often focus on particular types of injuries (like car accidents, workers' comp, or fraud and economic injuries). If they have had direct experience working with clients who have similar cases as yours, this is obviously a sign of experience. The more familiar they are with the type of case you bring in, the more likely they'll be able to efficiently represent you. What are your hourly fees and rates? It's good to know how much a lawyer charges right off the bat. This way you're not in for the surprise of your life when you get your bill at the end of the month. Similarly, ask if any paralegals or legal assistants will be doing work for them, and make sure that they come with discounted rates (the contract will usually lay this out for you -- make sure it does). How strong is my case? It is of course impossible to predict the exact result of your case, and lawyers aren't allowed to guarantee a certain type of outcome (if they do, they can face discipline). But experienced attorneys will usually be able to discuss the results of cases similar to your own. They should also be able to spot the strengths and potential weaknesses in your case. If I hire you, what will our communications look like? Nothing is more frustrating than an absent attorney. Make sure that you are familiar with how they communicate with their clients, whether it be by email, in-person meetings, or phone calls. Ensure that they will be timely in getting back to you, and get a good time estimate down. How comfortable do I feel with you? This is obviously not a question that you're going to ask out loud, but just to yourself silently. Usually, it's easy to gauge right off the bat how comfortable you feel with a prospective attorney, and this is very important. Because you are entrusting them with your case and what often is a very sensitive situation, you want someone that you like personally and wouldn't mind working with. These five questions are just the beginning. To learn more about what's involved in choosing legal respresentation, check out FindLaw's online Guide to Hiring a Lawyer.